I’m at the tail-end of the Baby Boomers. So I saw the Vietnam War through the eyes of a child. I recall anxiously watching TV during the drawings for draft numbers. I was worried about my older brother. Luckily, the war was almost over when he came of age. I remember my room papered with peace signs and “make love not war” posters. I vaguely recall the protests and political rancor. But I didn’t understand the realities of a war fought in a far away land or why it was tearing our country apart. I’ve been revisiting those memories and learning about the realities of Vietnam during the past 6 months. Our KLRU Decibel team was asked to put together several local productions to air in conjunction with the Ken Burns’ documentary, The Vietnam War. Hearing the stories of the Central Texans whose lives were changed forever by Vietnam, and playing a small role in sharing those stories, has been incredibly meaningful and moving. Joe Rocha, Blair Waltman-Alexin, Angela Maldonado and I sat down with some amazing people who told us about their wartime experiences. We talked with veterans, South Vietnamese refugees, medical workers and protesters. Their stories brought us to tears and touched our hearts. The interviews were so riveting and revealing that we totally lost track of time and realized, when we finally turned off the camera, we’d been talking for hours. 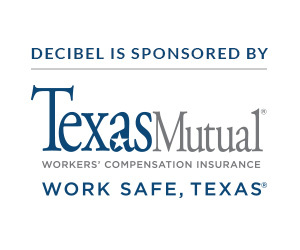 Our Decibel team is small. There are only 4 of us in News and Public Affairs at KLRU. We all poured our passion for storytelling into these Vietnam War projects. You will be seeing our short stories and our longer specials throughout the month of September. I’m proud of them and our team. My belief is that quality journalism is telling the truth and presenting different perspectives on an issue and allowing the reader or the viewer to form their own opinions. That’s what we tried to do with our local coverage looking at Vietnam and its ramifications. Now, I see the war and its aftermath through the eyes of a seasoned reporter. Hearing the heartbreaking and heroic stories from those who experienced Vietnam in many different ways has given me new perspective and insight on that tumultuous time in our country’s history. My takeaway is while war often magnifies humanity at its worst, it also brings out the best in people; love, compassion, honor and self-sacrifice. As we endure another divisive era in our nation, I hope shining this light on Vietnam will remind us we are much more alike than we are different.